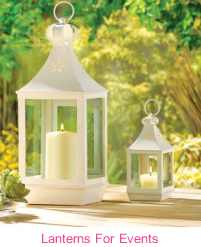 Relive the romantic days of stagecoach travel, when candle lanterns blazed brightly through the night. A nostalgic bit of Old West decor, prettied up with floral cutwork details. Iron and glass. Candle not included. 3 3/4" x 3 1/4" x 8" high.